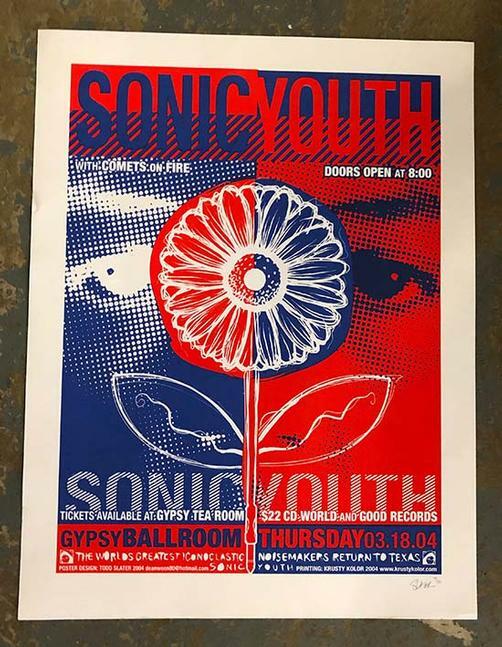 Original silkscreen concert poster for Sonic Youth at The Gypsy Tea Room in Dallas, TX in 2004. Signed and numbered 106/150 by the artist Todd Slater. Light handling marks.